A five o'clock start and a walk through the snow was the order of the day on Saturday, I soon met James and we drove south in search of grayling. An hour or so later we arrived at probably the most beautiful stretch of river that either of us had ever seen. The river was gin-clear and averaged about 1-2 foot deep, ideal for a bit of fish-spotting and trotting with the centerpin. But it was cold, we were both going to get blue fingers today. I started fishing a deep hole and it didn't take long to find my first grayling, a fish about 10oz, followed by my target, a 1lb 1oz grayling. 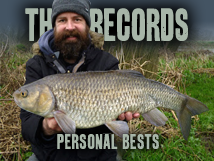 My new PB which I was going to better several times during the day. I soon discovered it was going to be easier to target the fish in the shallow runs, and easier to avoid the ever hungry trout. We moved down the river, each spot more beautiful and fishy than the last. It wasn't easy fishing however, locating the target species without spooking them and watching the trout beat them to the bait but what a day's fishing. 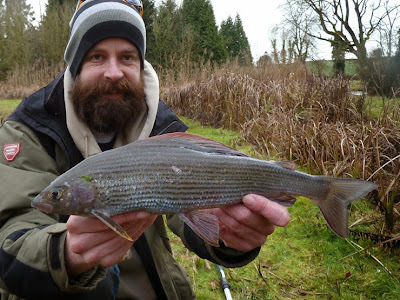 I managed 6 grayling over my target weight, upping my PB almost every time, 1lb 1oz, 1lb 2oz, 1lb 5oz, 1lb 11oz, 1lb 13oz and 1lb 0oz, with a few smaller ones thrown in. James really struggled with the trout beating the grayling to the bait in the beginning, so I was delighted when I saw him sprinting round the corner with a new PB resting in the net just down stream - but I'll leave the details to his blog. 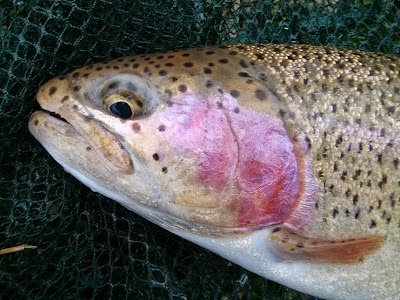 We tried to avoid the trout the best we could, but I must have landed a couple of dozen of them, out of season brown trout and a sea trout, but there were about half a dozen rainbow trout mixed in - I weighed the biggest, a new PB of 3lb 1oz, great stuff. We both had a fantastic day, dusk came far too quickly and we really didn't want to leave. So it's a massive thank you to James for all his research and driving duties and another massive thank you to Chris for pointing us at the fish. I could have happily spent the rest of the week fishing here, even in this cold! Well that's not quite the end of the story, with a new PB each under our belts we headed for a slower stretch where James couldn't resist targeting (and catching) a big roach, while my attention turn to pike - landing this 11lb 1oz pike on a wobbled deadbait. 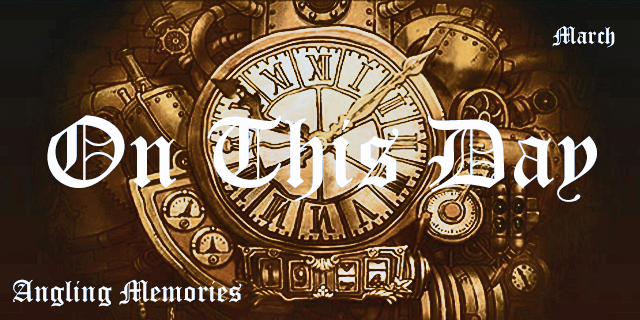 A real red letter day! What a fantastically marked pike. Cheers, all the fish in there were beautifully marked, the trout and grayling - probably a result of the very clear water. Missed my opportunity to land a small jack or two - bet they had great markings. 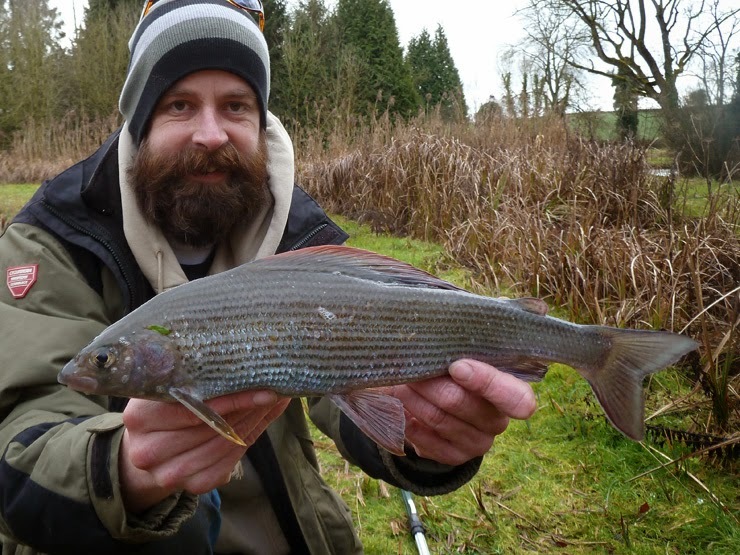 Well done Brian - very nearly a 2lber grayling, and plenty of trout as well - they can be difficult to keep at bay as they often respond very quickly to loose feed. 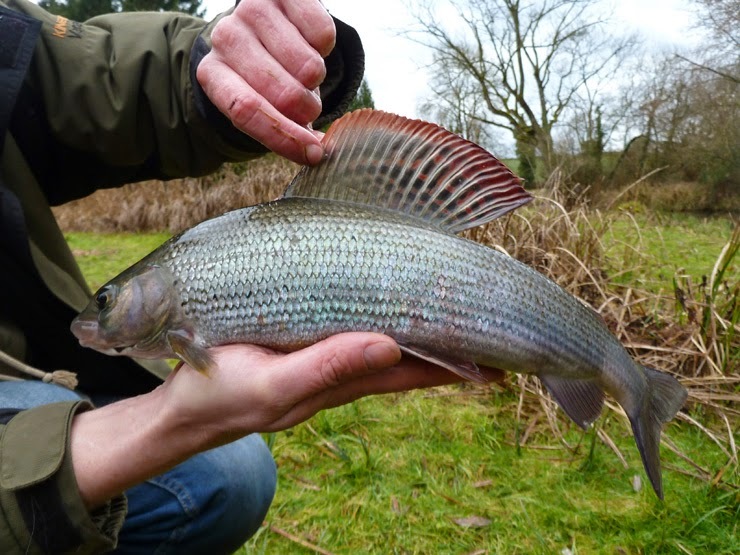 And considering the recent weather grayling are probably the best bet to go for! Thanks, I think a 2lber is definitely on the wish-list now! The trout were a pain (I do like catching them when they're in season) after a very short while we stopped loose feeding and sight fished for them. It was cold but not too cold for trout! Have you tried the Itchen Valley fishery yet for the grayling? There's meant to be quiet a few decent ones in there, although its generally deeper than the stretch you were on. 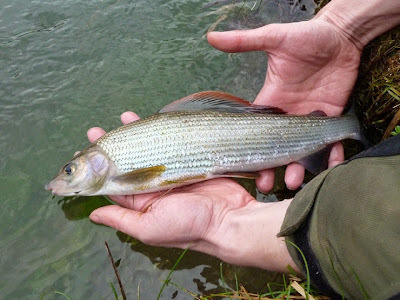 No, grayling are very new to me but I'll add it to the list along with a bunch other grayling based research I'm going to do. Hooked now. 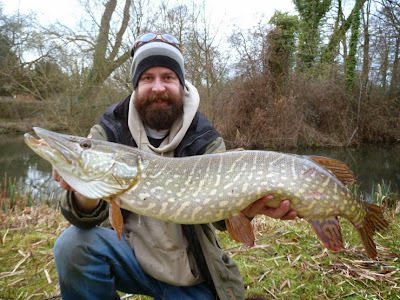 It was quite tough fishing, but sight fishing for them (and the pike) keeps you warm, as soon as you spot a good fish you forget about the cold - but yeah, the beard helped! 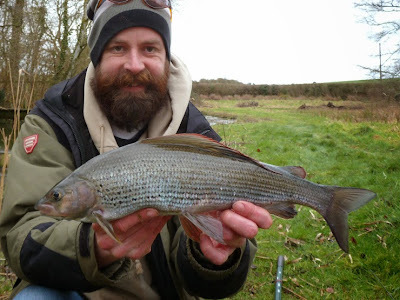 Well done Brian, some beautiful grayling. Reminds me that I must fit in some time for them before the close. Cheers, I'd love to have another crack at them before the season ends, they are firmly on the radar now. As they are new to me it's just fun fishing for them, but a two pounder mission is already in the back of my mind! Cheers Jack, was difficult enough to be challenging and the right fish to be rewarding - a great day. Nice result with the pike, shame there weren't more, but a mid-double Wye pike is always a fantastic day. Really want to get on the Wye for another crack before the season ends, really hoping for some consistent water conditions. Cheers. Love it when it all goes well, the days we fish for! Great result that, the grayling are brilliant fish and a strikingly marked pike.